On Monday this week I saw the message letting me know I had “New Twitter”. Flipped the switch. I was looking forward to what I had seen and heard from others. I’m a power user of the browser version, mostly because I’m in a browser all day long. I know most prefer Tweetdeck or other apps, I tried Tweetdeck for a few months. 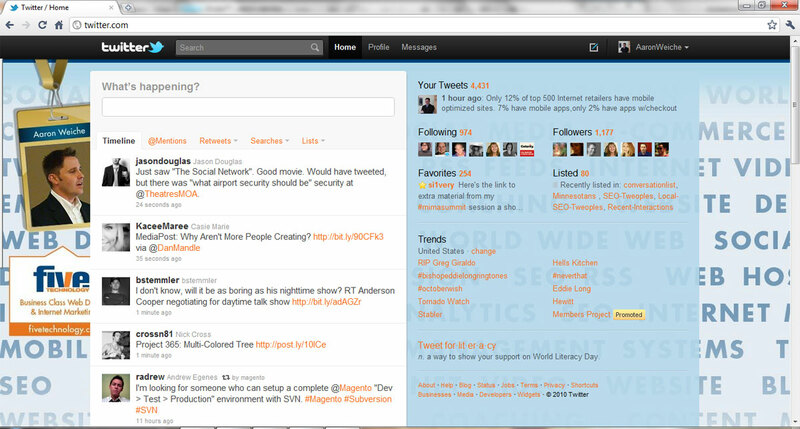 I went back to the web interface, it has always worked for me. Sure, I have a few more features I’d like to see, but it’s a big step forward. The interface feels solid to me and I’ve taken to it quickly. What are your thoughts?